Polyester canvas has "CAR WASH" imprinted to notify passing vehicles that service is available. 14' Tall once assembled for visibility down the street! 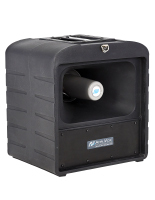 Aluminum pole and ground spike included for instant set up on grass and other soft surfaces. 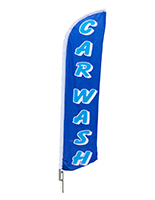 These car wash flags, also called feather banners, are ideal for auto service facilities. 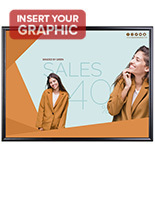 The sign displays are designed with a custom aluminum pole that keeps graphics visible even in windy conditions. 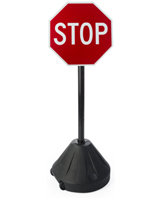 These car wash flags will easily swivel on the ground spike, allowing the sign to be seen and keeping the display upright on a breezy day! 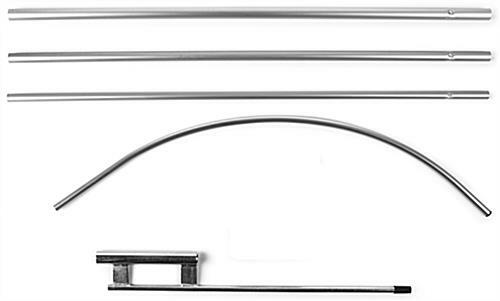 The feather banner's aluminum pole is inexpensive when compared to fiberglass poles. These car wash flags that have an aluminum pole are not as heavy duty as those with fiberglass poles. So why sell banners with aluminum poles? The reason is these car wash flags are priced well below comparable displays with fiberglass poles. This feather banner will help establishments generate more business. These car wash flags that come with a durable steel spike can be displayed anywhere there is grass. Each feather flag reads "CAR WASH" in vibrant yellow letters on top of a light blue background with water droplets spread throughout the sign. These car wash flags that are 14' tall can be seen from long distances when compared with sidewalk signs or a-frames. 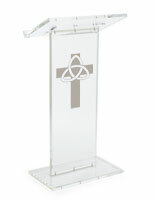 The feather banners are made from lightweight, yet affordable polyester. These car wash flags are single sided with the image dyed through the fabric so the reverse image is visible on the back side. This feather banner is large and bright, which will help call attention to the sign. 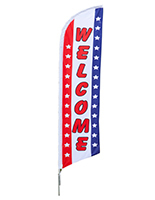 The car wash flags can help small stores or businesses on a budget. Each feather banner is very affordable due to the fact it does not come with a nylon carrying case. 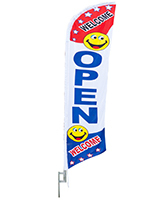 These car wash flags can be placed by the entrance of a business or in another highly visible location. 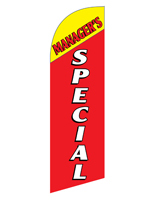 Buy these feather banners to generate more traffic at your auto service facility!